I went to my first Twenty 20 match last night. It was loud, fast and fun. The tournament is currently leveraging social media to drive fan engagement and awareness. All the teams have twitter accounts and use them for match updates and promotion. Clever hashtags like #smashemsixers are used for twitter conversations which I’m sure other sports will look to adopt in 2012. Selected tweets from fans scroll across the big screen at the ground. 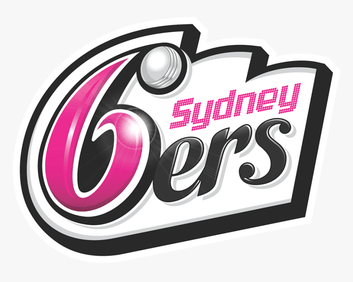 The Sydney Sixers should look at including user handles as this would increase the ‘reward‘ for fans supporting their team. Facebook pages have become great places for fans to show their support for their teams and players. Users from the West Indies, Pakistan, Sri Lanka and India are using social media to support their fellow countrymen as they play in the Australian tournament. For many, social media and the internet is the only way they can connect to the game. All the teams have template based and multiplatform friendly websites. Fox Sports holds onto highlights for a little too long (for example highlights from last nights game are only available on the flash riden foxsports.com.au and not on the team websites or YouTube). It’s the social media presence that I’m most impressed with. The Big Bash is a new competition trying to succeed in a sport saturated market. The organisers have understood the power of social media and are harnessing it to both market the game and empower fans. One of the benefits of working at an integrated agency is that the water cooler banter often involves cool ads. I love the new All In campaign for Adidas. It’s bold, aspirational and lives online through a range of different edits. Apparently there is a component that encourages people to submit their ‘game faces’ but I couldn’t find it after two seconds of googling and hence gave up. The version currently blitzing YouTube also features a new track by Justice which will only help the play count sky rocket. Enjoy.